The electrically active material used in the electrodes of most modern battery designs are powders and require a mechanical support structure to hold them in place during the manufacturing process. This support structure also functions as a current collector and provides the electrical connection point for the external circuit. 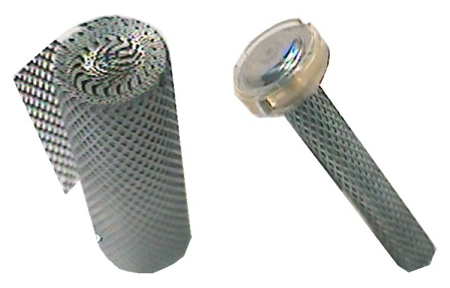 Dexmet has provided expanded metal foil used in anode and cathode production for many decades. While most designs are proprietary, the battery chemistry generally determines the alloy used, while the active material composition determines the optimum mesh geometry. Dexmet Corporation can expand any ductile metal. Our engineers can assist you in selecting the most appropriate metal to meet conductivity requirements for your battery. 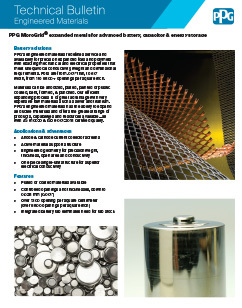 Each material contains numerous specifications that allow for specific resistivity requirements. Our sales and engineering staff can help tailor these parameters to meet the requirements set forth in your specific battery. The unique 3D geometry of expanded mesh provides surface area when seeking optimal adhesion and active material packing. Download this valuable data sheet on the advantages of expanded foils for battery applications and the full range of material configurations. Let us help you select the right expanded materials for your advanced battery application. Contact one of our technical experts and start the conversation!